I’m happy to announce some exciting new features in DiskDigger for Windows, as well as in DiskDigger for Android! "Dig Deep" mode has been enhanced with an option to show either "Deleted files only" (which was the previous default behavior) or "Deleted and existing files." This is useful when the disk is improperly formatted or partitioned (or if the partition area is damaged), but the file system itself is still healthy. When you insert the disk and Windows shows an error such as "You need to format the disk before you can use it," it’s an indication of this kind of issue. DiskDigger will now let you recover all the files from such a disk, whether or not they were actually deleted within the file system. In "Dig Deep" mode, there is now improved support for scanning certain file systems that are not native to Windows, including HFS+ (used in macOS disks) and ext4 (used in Linux). Enhanced support for scanning optical disks (CDs and DVDs) and the file systems that they contain, including ISO 9660 and UDF. There is also improved support for scanning damaged or improperly-burned disks: When selecting the drive to scan, you can go to the Advanced tab and check the "Detect disk size manually" box, which will make DiskDigger ignore the size of the disk as reported by the driver, and instead read the disk explicitly until it can no longer be read. Support for recovering Opus audio files (when scanning rooted devices). The Opus format is used by WhatsApp for saving audio messages, which means that you can now recover WhatsApp voice notes. This format is also often used for ringtones and by other media recording apps. So what are you waiting for? 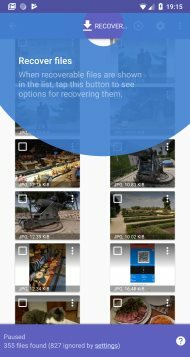 Download DiskDigger for Windows for all your recovery needs on your PC, or find the DiskDigger app on the Google Play Store to recover files from your Android device. Better fault tolerance against drives that have errors, e.g. bad sectors, controller malfunctions, etc. The program will respond to a wider range of errors, and will allow you to continue past the error, or stop and recover any files that it has found so far. Steamlined disk access and caching, which allows for optimized performance when scanning and recovering files. Improved efficiency when recovering certain types of files, including .JPG, .DOC, and .ZIP. 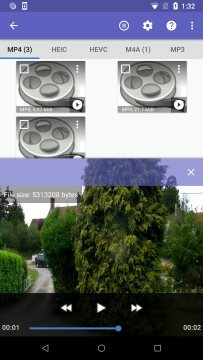 In other news, DiskDigger for Android has improved as well, with the ability to enter Cleanup mode at any time during the scan, by first pressing the Pause button. Enjoy! 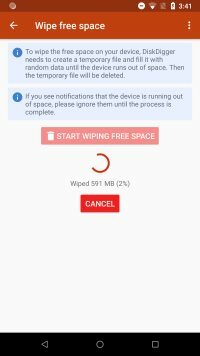 Following up on the new "Clean up" feature introduced earlier to DiskDigger for Android, I'm happy to introduce another brand new feature that adds a related capability: wiping free space. 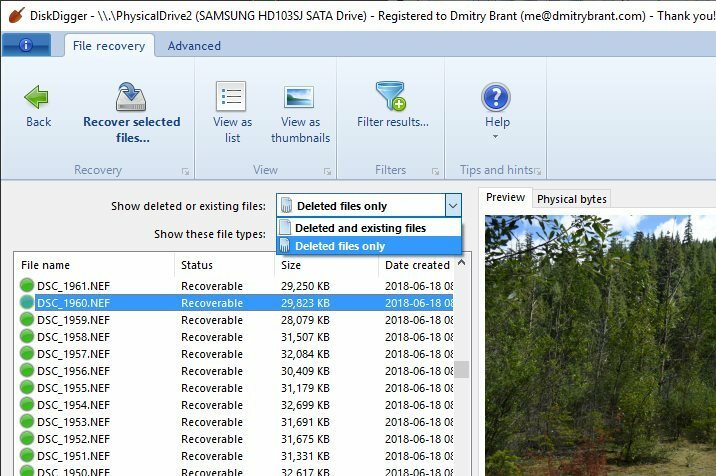 This is useful for ensuring that your deleted files (which are now considered free space in your device's memory) will no longer be recoverable, even with tools like DiskDigger. The new "Wipe free space" feature can be accessed directly from the main screen of the DiskDigger app (underneath the selections of Basic Scan and Full Scan). It can also be accessed while performing a Full Scan by tapping the "Clean up" button. Wiping of free space is done by creating a temporary file and filling it with random data, until it consumes the entire amount of free space on your device. When the temporary file begins to reach the limit of free space, the Android system will usually display a notification that your available space is running out. You should ignore this notification until the wipe process is complete. When it finishes, it will delete the temporary file and free up the remaining space again. It is possible that the Android system will stop DiskDigger from being able to write to the temporary file before the memory is completely full. This means that there is a possibility that not all of the free space will be wiped, and some deleted data might still be recoverable. You can always re-run DiskDigger and scan your device's memory to ensure whether the wipe was successful. The wiping is done only on the internal memory of the device. The ability to wipe an external SD card will be added in a future version. It's important to note that because the wiping is done by overwriting all the free space, it means that the process inflicts a significant amount of wear on the device's memory. This can potentially shorten the life span of the memory, and should be performed sparingly, and only when necessary. These clean-up features are currently available only in the Android version of DiskDigger, but are currently in development for the Windows version, too. As always, for all your data recovery needs, download DiskDigger for Windows, or DiskDigger for Android! After completing the scan of your device, the app now offers you the ability to enter Cleanup Mode, accessible by tapping the "Clean up" button, where you can select the items you'd like to delete, and remove them permanently. Cleanup Mode is currently available only in the Basic Scan. Making it available in the Full (rooted) scan is quite a bit more complex, and will be available in a future version. 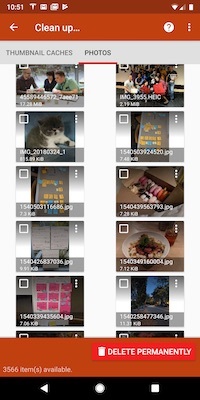 The Cleanup screen is divided into two tabs: "Thumbnail caches" and "Photos." This is because a thumbnail cache (a file that contains multiple thumbnails) must be deleted as a whole, which would delete all the thumbnails contained in it. 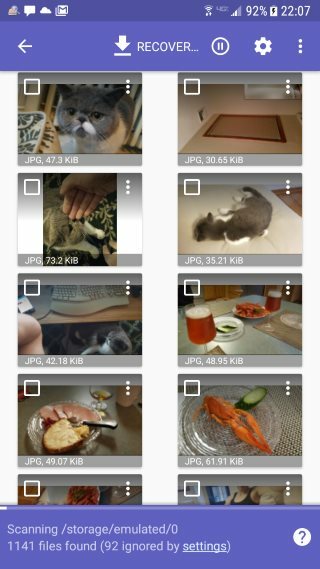 Therefore the app allows you to examine these thumbnail caches, as well as individual photos, and select which ones you want to delete. Since the deletion is done at the filesystem level, the contents of the deleted files are not physically wiped from the device's memory, and may still be recoverable if the device is rooted. In fact, even physical wiping of the files' contents is unreliable with flash memory, which employs wear-leveling that might redirect the overwritten data to a different physical location. In the near future, look for further enhancements and updates to the Cleanup feature. And as always, DiskDigger for Android and DiskDigger for Windows are still the best choice for your data recovery needs. 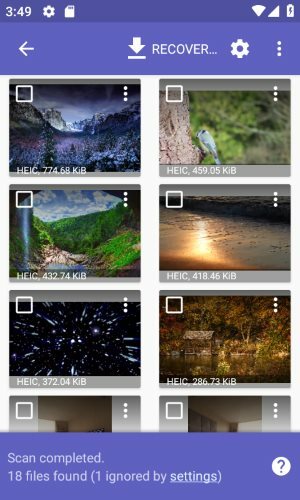 I'm happy to announce that DiskDigger for Android now supports recovering HEIF images (High Efficiency Image Format), as well as HEVC videos. 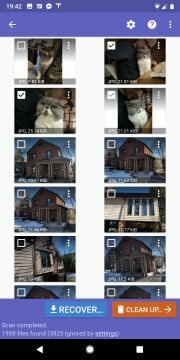 The upcoming release of Android P is planned to support saving photos from the camera using the new HEIF format, and DiskDigger is now ready to recover them in case they are accidentally deleted. Recovering HEIF images is supported in the Basic scan as well as the Full scan. 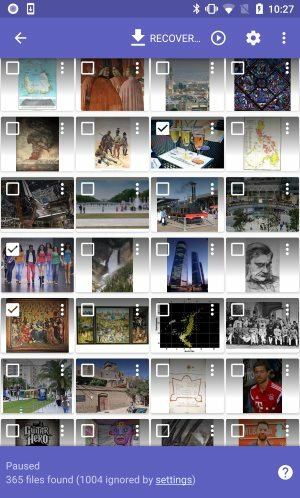 However, the Basic scan is only able to recover these types of images from your device's thumbnail cache. The Full scan, which can detect HEIF images throughout your device's internal memory, the device must be rooted. 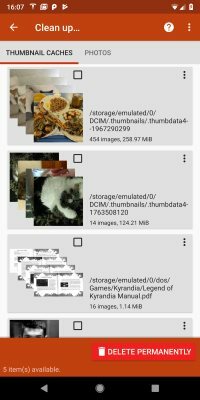 You can use DiskDigger to recover HEIF images from any version of Android (not just Android P). However, the app can only display previews of HEIF images when running in Android 8 (Oreo) or above. DiskDigger for Windows, on the other hand, has already been able to recover HEIF images for a while now. 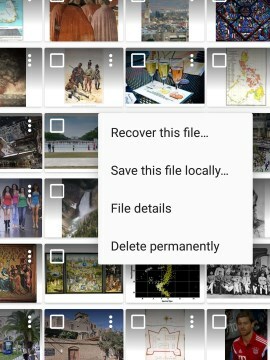 If your Android device uses a microSD card for storing photos or videos, it's recommended to remove the card and connect it to your PC using a card reader, and scan it using the Windows version of DiskDigger. Support for more variants of E01 (forensic disk image) files. Improved detection and recovery of Windows thumbcache files. Improved handling of errors when scanning disks (due to bad sectors, I/O errors, etc). Support for recovery of RSA certificates in "Dig Deeper" mode. Fixed some possible performance issues when recovering JPG and ZIP files. Improved detection and recovery of .GZ archives. Improved preview of raw sector bytes, with arbitrary navigation to any sector. Improved recovery of highly-fragmented files in NTFS when using "Dig deep" mode. Improved detection of extended MBR partitions. Improved support and performance on lower-memory devices. 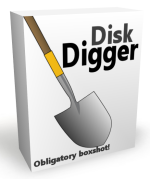 As always, DiskDigger is ready to be your tool of choice for recovering files from your PC and any storage media it can read. 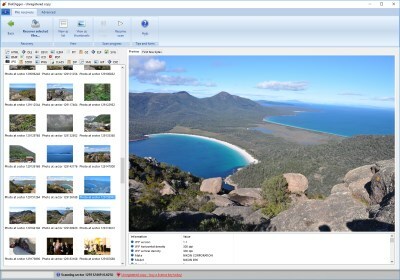 E01 and EWF images (Expert Witness Format) saved by EnCase and various other tools. If the image is broken into multiple segments (E01, E02, etc. ), just open the E01 segment and DiskDigger will detect the other segments automatically, as long as they are in the same folder. VMDK images, used by VMware. VDI images, used by VirtualBox. 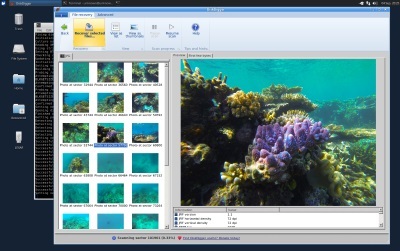 VHD images, used by Microsoft VirtualPC. Open any of the above disk image types by launching DiskDigger and clicking the Advanced tab, where you should see the option to scan a disk image. Once you select the image file, the type of the image will be detected automatically. E01 files themselves can now be recovered in "dig deeper" mode. Support for recovering FLIF (Free Lossless Image Format) images. Improved support for recovering .TAR.GZ archives. Improved support and compatibility with Android Oreo. Fixed some potential issues when saving recoverable files to an external SD card. Previously it was possible to see "access denied" errors when saving files to an SD card, which was due to incorrect usage of Android's SAF (Storage Access Framework). 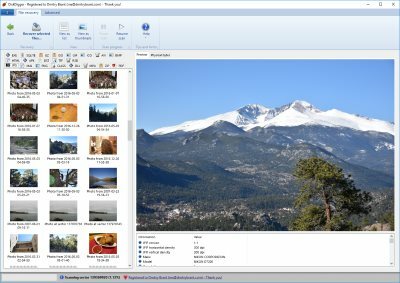 Improved ability to permanently delete individual files from Basic Scan results. It's currently not possible to delete files from a Full (rooted) scan, but this is planned for a future update. Download DiskDigger for Windows to recover data on your PC, or use the Android app to recover data from the internal memory of your Android device! You can now permanently delete selected items from the list of recoverable files. This will physically overwrite the selected files, making them virtually impossible to recover using any software tools, including DiskDigger. Delete files individually by tapping the overflow menu next to each file, or tap the checkbox to select multiple files, and tap the main overflow menu in the toolbar. The app now supports a wider range of rooted devices (for certain devices, the previous version of the app was not properly detecting them as rooted). The performance and memory usage of the app has been improved, leading to fewer out-of-memory errors, especially when working with large numbers of files. A lot of minor bugs and crashes have been fixed. This is the most stable release of the app to date. DiskDigger now has a minimum requirement of Android 4.0 (Ice Cream Sandwich). For older devices (Honeycomb and earlier), the previous version of the DiskDigger app will continue to be available on the Google Play Store, but these older devices will not receive further updates. 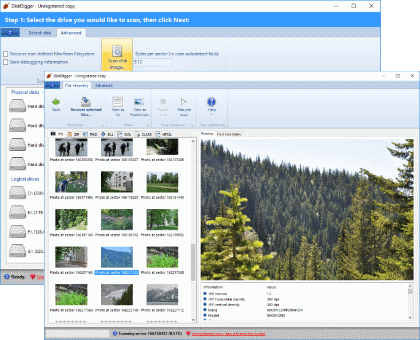 And as always, DiskDigger for Windows is there if you need to recover photos, documents, videos, or any other files from your PC, memory cards, USB drives, and most other storage media. Improved support for recovering Bitcoin wallet files (Wallet.dat files from Bitcoin Core, and .Wallet files from Armory) when scanning in "dig deeper" mode. Greatly improved compatibility with Linux and OS X. Since DiskDigger is built on top of the .NET framework, it's very simple to run it on *nix systems by using Mono. Further improvements for recovering .MP4, .MOV, .3GP, .M4A and similar video and audio files, with better metadata detection. Download DiskDigger and recover your files with confidence today! 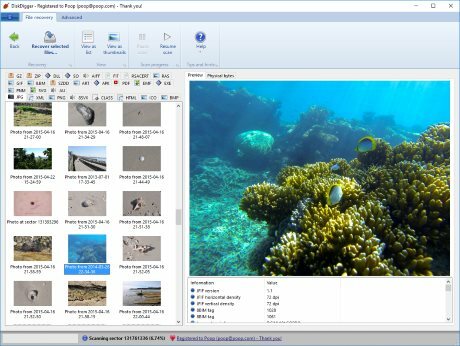 Support for recovering High Efficiency Image File Format files (.HEIC, .HEIF) when scanning in "dig deeper" mode. Support for recovering Bitcoin wallet files (Wallet.dat files from Bitcoin Core, and .Wallet files from Armory) when scanning in "dig deeper" mode. Enhanced support for recovering .MP4, .MOV, .3GP and similar video files, with better metadata detection. Enhanced support for recovering .M4A audio files, with metadata and album art previews. Improved detection of FAT32 and NTFS partitions on certain drives with 4 KB sectors, such as some newer hard disks and some models of iPods. Further improvements to saving and restoring of sessions when scanning in "dig deeper" mode. Improved ordering and sorting of recoverable files by date in "dig deeper" mode, for file types that contain dates in their metadata. Added a more emphatic warning when attempting to save recoverable files onto the same drive from which the files are being recovered. Remember: you must never recover files onto the same disk that is being scanned, since this has the risk of overwriting other files that haven't yet been recovered. Download the new version and see what DiskDigger can recover for you!